After studies in USA earned a degree in physics and PhD in electronic engineering. In the early 90’ conducting his own independent research he invents and patents the Bioscanner, a diagnostic Medical Device, known commercially as the Trimprob, a radically new way of early diagnosis for cancer. The Trimprob has been approved and is provided of CE Medical Certification as a not invasive medical device and used by the National Health Service in Italy and in 10 foreign countries. On 2004, the Italian Navy, by means of an Italian Republic Presidential Order, conferred him the rank of Commander (Lt.Col. ), the same order was first used for Guglielmo Marconi, the inventor of the radio. 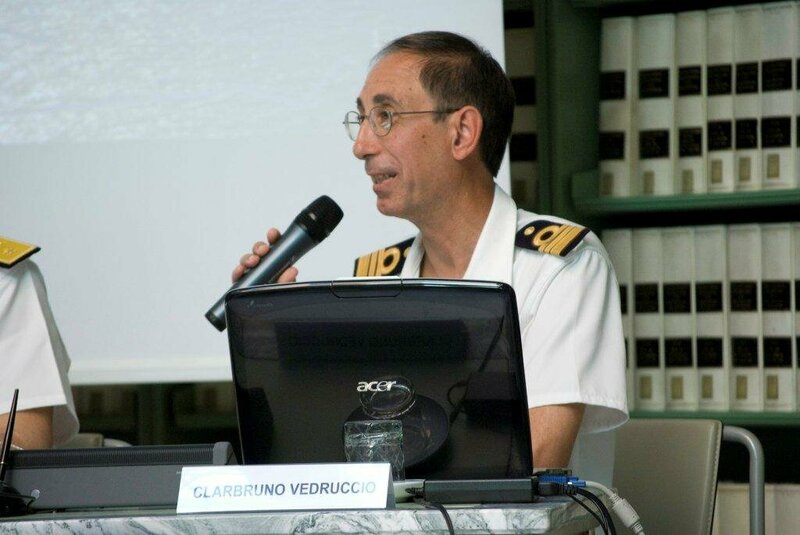 In the Navy he gives his expertise and research in radio communications and electromagnetism at COMSUBIN Naval Base in La Spezia. Assigned to the San Marco Regiment, the Italian Marine Corps, he participates in the ONU peacekeeping mission “Leonte” in Tibnine, Lebanon. On 2004 and following years was also a consultant for the Dipartimento Nazionale della Protezione Civile, like expert in the electromagnetic fields and related effects and was assigned to the “Gruppo Interistituzionale di Lavoro per l’osservazione dei fenomeni di Canneto di Caronia (ME) Sicily”. On 2009 the San Marco Regiment confer him the ‘Amtrack (Anfibious) Qualification’ held be all Italian Marines . Married to Dr. Carla Ricci, herself being a respected expert in matters regarding Mary Magdalene and women related to the origins of Christianity. To see: Mary Magdalene and Many Others. Women who followed Jesus , (Burns & Oates - Tunbridge Wells- England, Fortress Press - Minneapolis U.S.A.) 1994; Mary Magdalene, a woman of light, in «The Journal of the European Society of Women in Theological Research (ESWTR)» 16 (2008) 117-136. She also shares and supports his work on the Bioscanner®.